What a fascinating tree, love te colours ! The temperate rain forest is a rare environment. It sure is and something new surprises me each visit. Nature is majestic on all its stages. Truly majestic! Love how you take photos of trees, Lisa! Oooooo another of your rich and deeply colorful forest images. It is primeval! Simply gorgeous. Thanks Meghan! I’ll get back to the water and beaches when spring arrives but right now it’s too cold for waterfront pictures. 🙂 Lucky for me (and my frozen fingers) there are plenty of forests around! Wowee. That’s not a word, so I guess that comments fits with wordless…….. Such incredible trees. The Pacific Northwest is an abundance of beauty! Thank you Sue, I’m happy to hear you like it. Love the colours here. Very vibrant. Thanks so much LD, I appreciate your visit. Thanks Paula. 🙂 I have plenty more so it’s good to know you like them! 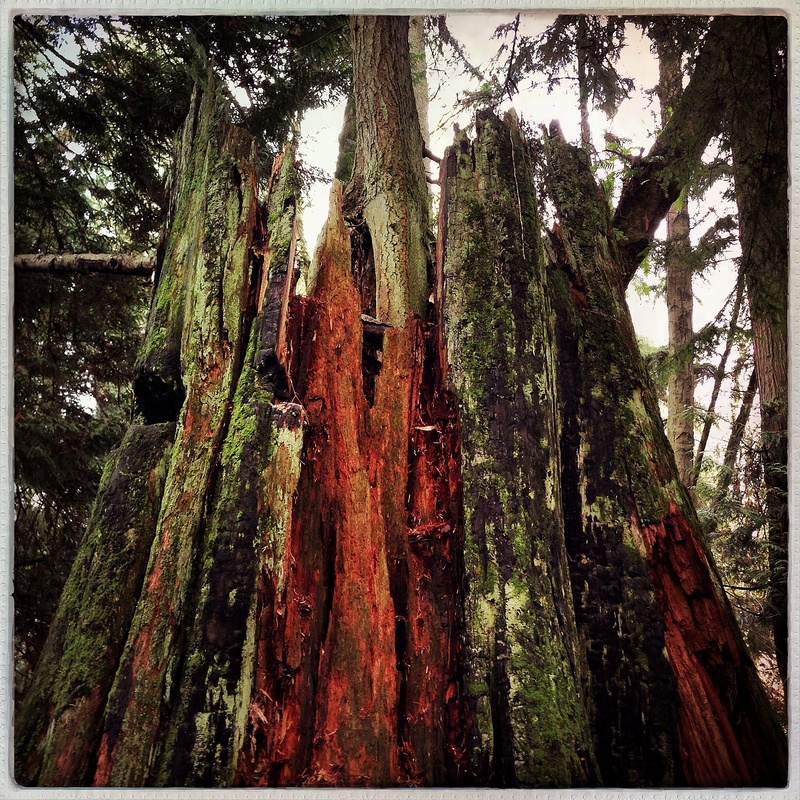 Were those notches in the stump made by the PNW saber toothed squirrel? I didn’t know you could type with those paws Heidi. 😉 A saber toothed squirrel sounds a way more exciting than buckboard notches!